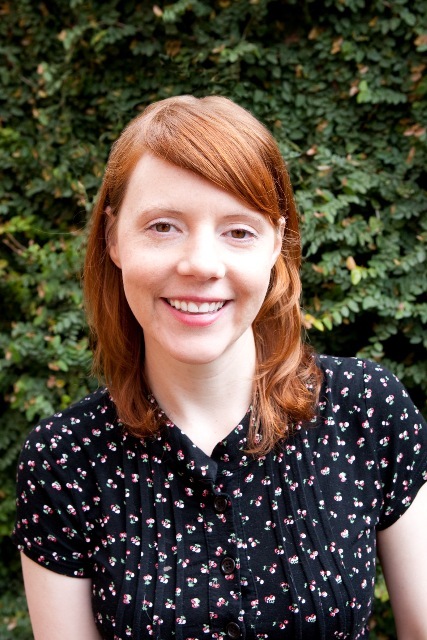 Favel Parrett is a one of the new generation of Australian writers. Her debut novel, Past the Shallows was published last year to critical acclaim and has just been longlisted for the 2012 Miles Franklin Literary Award. (See my review). Favel was a recipient of an Australian Society of Authors Mentorship in 2009 and has had a number of short stories published in journals including Island and Wet Ink. She is currently working on her second novel. Resident in Victoria, she loves to surf in the Southern Ocean. She has a passion for travel, especially to Africa and Bhutan, and in her spare time she volunteers at an animal rescue shelter. ANZ LitLovers is pleased to introduce this fine young author in the Meet an Aussie Author series. 1. I was born… on Election Day in Victoria – 1974. My mum got a fine for not voting. a letter to Prime Minister Malcolm Fraser asking for land rights for Indigenous Australians. I wrote the letter in pencil on a piece of butcher paper. Six weeks later, a very long typed ‘official’ response arrived. It made little sense and addressed none of my concerns. I became very disillusioned with politicians that day. 3. The person who encouraged/inspired/mentored me to write is/was… My friend Linda. My partner David. My teacher Janey Runci. 4. I write in a small room overlooking Swanston Street in Melbourne. I like watching the window cleaners abseiling down the walls of the hotel across the road. 5. I write best in the morning after a coffee. 6. Research is unexpected. I got to go to Macquarie Island in October 2011 on an expedition vessel – part research/ part long time dream come true. 7. I keep my published work shoved in a very full bookcase in the spare room. 8. On the day my first book was published, I had many beers. 9. At the moment, I’m writing my next book. It’s about the sea, about Hobart and a beautiful Danish Ice Breaker called the Nella Dan. 10. When I’m stuck for an idea/word/phrase – I go for a surf to clear my head. That new novel sounds most interesting … Hobart is one of my favourite Australian cities! My thanks go to the publicist for the Miles Franklin Award, Rachel Caton from Honner Media, for her assistance in the preparation of this Meet an Aussie Author blog post. No wonder she needs to go surfing every now and again to clear her head!